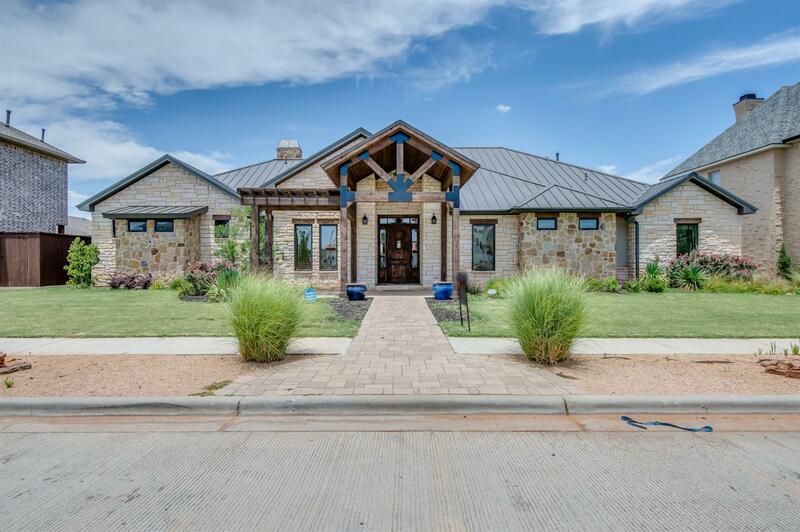 Welcome home to this 2015 Creative Luxury Homes Parade of Homes. This homes boasts elegance throughout. The kitchen is truly a chefs delight-featuring Thermador appliances, subzero fridge, coffee bar, and ice maker. The spacious butlers pantry is great when hosting events. The over sized laundry/ craft room is truly a dream come true and lets not forget the dog wash that'll make keeping those 4 legged friends fresh and clean. Head downstairs to the basement to select your wines for the evening out of the wine cellar! Heading outside to the beautiful over sized patio with outdoor kitchen is truly a treat during the beautiful West Texas evenings. The master bedroom offers his and her closets, beautiful soaking tub, and a large walk in shower. The kids don't have to be bothered as they have their own set up with a media area just for them that is centered around the 3 additional bedrooms. Sprinkler Dtl Cmts: Undeground drip system.